Many of you have probably heard about Gaborone, the capital of Botswana, from the book series, The No. 1 Ladies’ Detective Agency, by Alexander McCall Smith. 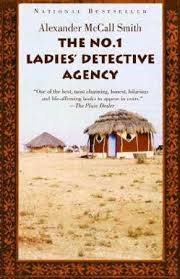 The series follows Precious Ramotswe, the first female private detective in Botswana, and the mysteries that she solves; her agency is based in Gaborone. Have you ever stopped to wonder what the name Gaborone actually meant? Gaborone was the name of the Chief of the Batlokwa, Kgosi Gaborone, who left the Magaliesberg to settle in the area around 1880, and called the settlement Moshaweng. Moshaweng meant ‘place where the river’s sand has washed out.’ Today, Moshaweng has been renamed Tlokweng, or Place of the Batlokwa, and is located on the east of the Notwane river, facing the Village. Gaborone was then known as Chief Gaborone’s village. His name itself, Gaborone, meant ‘it does not fit badly’ or ‘it is not unbecoming.’ The city was then called Gaberones by European settlers. Tlokweng was across the river from the Government Camp, the name of the British colonial headquarters. In 1890, Cecil John Rhodes picked Gaberones to house a colonial fort. The fort was where Rhodes planned the Jameson Raid. 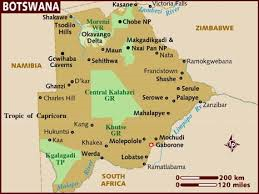 In 1965, the capital of the Bechuanaland Protectorate was moved from Mafeking in South Africa to Gaberones. When Botswana gained independence on 30 September 1966 from Great Britain, Lobatse was considered as the first choice for the nation’s capital. However, Gaberones was chosen over Lobatse because of its proximity to fresh water, its proximity to the railway to Pretoria (South Africa), its central location among the central tribes, and its lack of association with those surrounding tribes: it was a sort of ‘neutral ground.’ The city changed its name from Gaberones to Gaborone in 1969. Meanwhile, Chief Gaborone had died in 1932, aged about 106 years old; he never saw the capital of his country take his name. 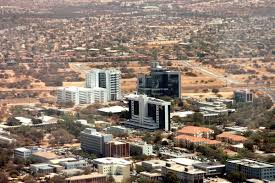 Geographically, Gaborone is situated between Kgale and Oodi Hills, on the Notwane River in the southeastern corner of Botswana, and just 15 km from the South African border. The city lies at an elevation of 1,010 m above sea level. Today, Gaborone is rapidly growing. It is currently home to over 250,000 people. It is a very vibrant city, and is one of the fastest growing cities in the world. 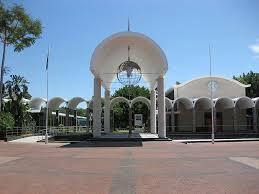 Nowadays, Gaborone is called the “White City” and is nicknamed “Gabz” by locals. Enjoy the video below on Gaborone! « Blague Africaine: 2-1=? / African Joke: 2-1=? Mine too! They are all precious and unique. Which one have you visited so far? I’ve only ever been to Dar es Salaam, only because I was raised there. I’ve be living in the UK since I was 9, missing my city all the time. My entire life plan allows me to be able to travel all over Afrika. Can’t wait! May your wishes to travel all over Africa be granted! Kind regards.